Tomorrow Trinbagonians go to the polls for their general election. 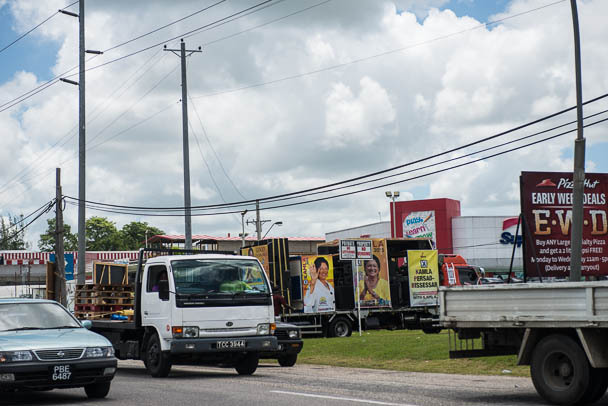 It has been a different kind of bacchanal in T&T – political meetings, mutinies, alliances, exposes, manifestos, and lots of bacchanal. 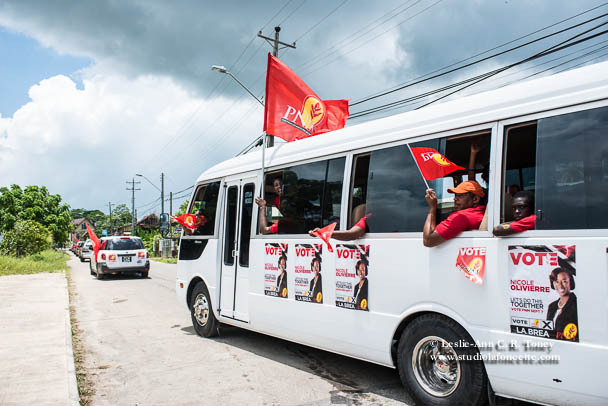 Yesterday the biggest political parties, the incumbent United National Congress (UNC), under the umbrella of the People’s Partnership, the People’s National Movement (PNM) and the much smaller Independent Liberal Party (ILP) held political rallies, the former two yielding large turnouts. 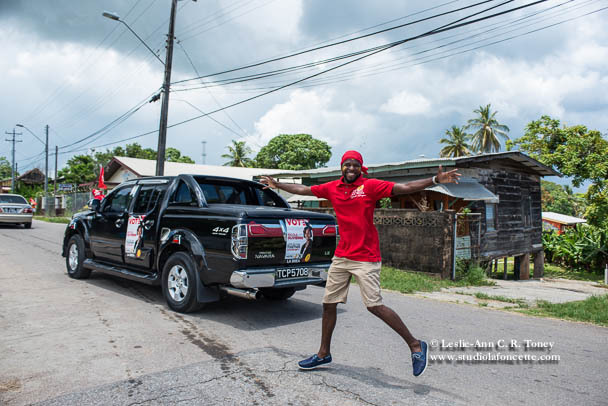 Today in my neighbourhood for about 3 hours a truck with a DJ blasted campaign music and charges for the community to vote PNM. Tomorrow, no matter the outcome, we will breathe a sigh of relief for an end to noise, that is, until de real carnival. I am sure you will look forward to an end to the noise. I called my sister two Sundays ago and we counted 76 motorcade with music trucks with different levels of noise passing. Now back to some semblance of normal, right? Indeed. The noise pollution was worse than carnival – at least that is diverse, celebratory noise. This was a constant 5 or 6 songs and people shouting messages at all hours of the night. Glad it’s over.